LG is currently preparing the next generation of LG G6 which was released in March 2017 ago. Initially, many people predict that LG will introduce the next generation smartphone in Mobile World Congress (MWC) 2018 event, and not a few who suspect that the next generation smartphone will be called LG G7. But at MWC 2018 ago, LG instead introduce the latest V series phablet with the launch of LG V30S ThinQ. Then what about the smartphone "sequel" LG G6? Beyond the launch of MWC, rumors circulated that the sequel to the LG G6, which was originally thought to be referred to as the LG G7 is scheduled to be launched around the quarter this year. However, other important things indicate that LG will modify its naming scheme, but may still retain the G Series convention. Based on the latest leak from Evan Blass (@evleaks) mentions that the next generation smartphone LG G6 will be launched under the name "LG G7 ThinQ", not "LG G7" as it has been predicted by many people. With the inclusion of the ThinQ suffix, such as those on the LG V30S ThinQ, it will bring LG G7 ThinQ to several features that support AI technology including the ability to control compatible LG home devices (IoT), run Google Assistant commands, and run some camera functions which is AI based. 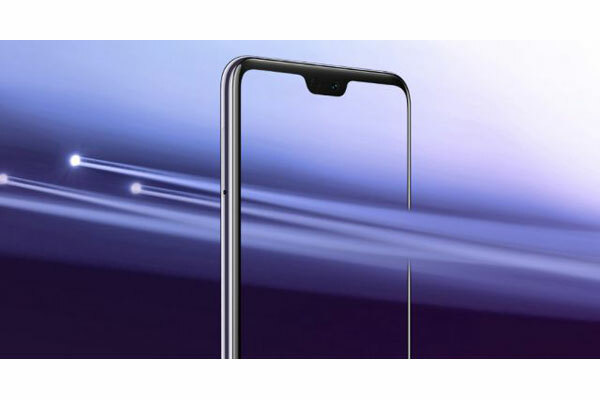 Recently leaked images from the front panel LG G7 ThinQ which revealed that this device will come with the design of the front bangs and bangs that are assisted with LED flash. LG G7 ThinQ will use M + LCD screen measuring 6 inches with dimensions measuring 153.2 × 71.9 × 8.2mm. Performance will be strengthened by Qualcomm Snapdragon 845 processor coupled with 6GB of RAM and 256GB of internal memory. Other features include dual rear camera which each has a resolution of 16MP, support 3.5mm headphone jack and fingerprint sensor placed on the back of the body. This smartphone is rumored to be sliding in mid-April. 0 Response to "Equipped with AI Features, this is the LG G6 Successor Smartphone Name"